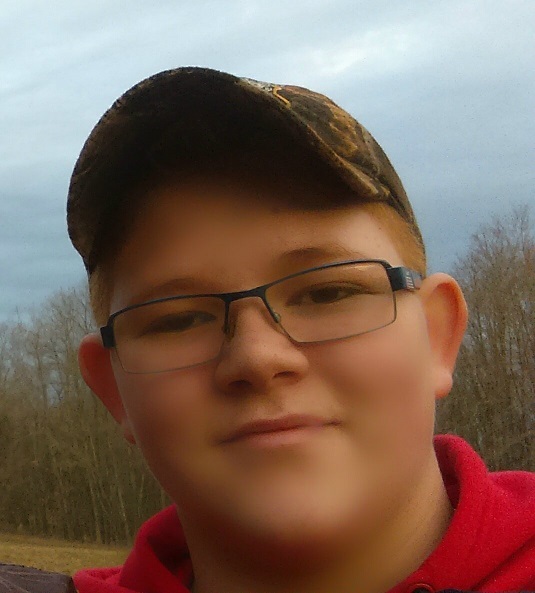 Anthony C. Dashner, 14, of 7 Bishop Avenue Oil City, PA. ,died in his sleep on July 5, 2018 at his home. Born Aug. 22, 2003 in Titusville, PA., he was the son of Dustin Dashner & Heather Hartle Mitchell. Anthony just finished the 8th grade at Oil City Middle School. He enjoyed hunting, fishing, riding dirt bikes, playing basketball, swimming at the Hasson Pool and hanging out with his friends and listening to music. He volunteered his time helping others and enjoyed helping others by mowing their lawns. Anthony received an award for having the best sense of humor. He attended Youth Alternatives. Friends will be received from 6-8 P.M. Sunday in the Reinsel Funeral Home. And again from 9:00A.M.-10:45 A.M. Monday in the Reinsel Funeral Home. Funeral Services will be held at 11:00 A.M. with Rev. Tim Tygert, Presiding. Memorials may be made to the Reinsel Funeral Home, 116 Bissell Ave. Oil City, PA. 16301 to help defray funeral expenses.